The Fi3000 forward facing camera is already integrated with our powerful Fleetinsight Telematics platform, so there’s no need for any other devices to be installed. Users of a traditional Telematics system would be made aware of a harsh braking event, but not what caused it, while those with a regular dash-cam would see the video but not the underlying data. With the Fi3000, you get all the benefits of Fleetinsight’s powerful Telematics platform, combined with HD Video in one neat, 3G device to clearly illustrate the cause of accidents and events in near real-time. The Fi3000 can instantly transmit live snapshot images or request HD footage to our cloud-based platform to give a comprehensive view of before, during and after an incident. Ensure you never get caught out again, make Fleetinsight Video Telematics the eyes and ears of your fleet. Full 1080p HD 3G camera. High quality super-wide (pillar-to-pillar) viewing angle. Real time HD images before, during and after an incident, ensuring that no evidence is lost. Instant remote cloud upload of court admissible evidence from the camera. Built-in GPS receiver and Glonass ensures the highest accuracy for vehicle location and speed. The system automatically performs a health check and notifies the operator of any problems. 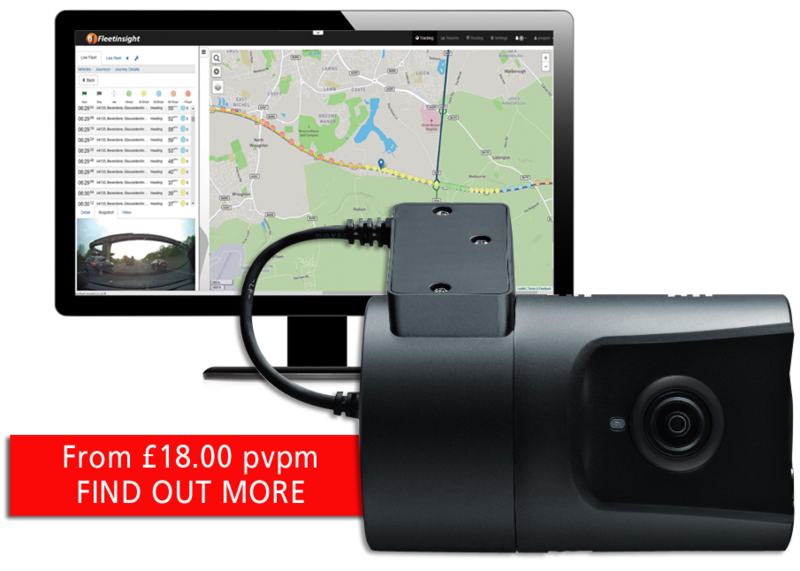 Industry leading, integrated 3G vehicle camera and tracking system. Protect your vehicle or fleet against false driving allegations and increasing insurance premiums. Monitor driver behaviour from anywhere using the Fleetinsight cloud platform. Live HD quality video and review any incidents instantly. Track your vehicle at any time. Gain first notification of loss. Reduce fleet operating costs. Reduce risk with transparent fleet operations. Enabling risk management control on the roads with complete visibility over fleet operations. Accurate G-Force and GPS data to help mitigate third party repair costs or injury claims. Analyses unsafe driving and assesses driver training needs. Fleetinsight is an innovative supplier of in-vehicle CCTV technology. We offer our customers the most advanced, innovative and reliable hardware on the market. The Fi3000 is a full 1080p HD 3G camera with a super-wide 170° viewing angle and built-in M2M Telit 3G, GPS and GLONASS self-checking notifications for improved accuracy. Designed and manufactured by our ISO 9000 certified South Korean manufacturer. They are also the current chosen suppliers for OEM products to NEC, Denso, Clarion and Toshiba. The Fi3000 is used by some of the leading insurers in Japan, with thousands in deployment. Pregem are a FORS accredited supplier of camera safety and vehicle tracking systems for commercial and construction vehicles. Our CCTV technology provides our customers with the most advanced, innovative and reliable camera safety systems on the market. Discounts are available for FORS Members. FORS (Fleet Operators Recognition Scheme) is a National accreditation scheme that promotes and assures a culture of safety, efficiency and environmental responsibility within vehicle fleet operations. Pregem uses the findings of Fleetinsight driver behaviour data and partners with RoSPA to deliver industry recognised fleet safety training programmes. Contact us now to discover how Fleetinsight Video Telematics could bring real benefits to your business operations, or alternatively, you can talk to one of our customer services team on 01420 544 514.